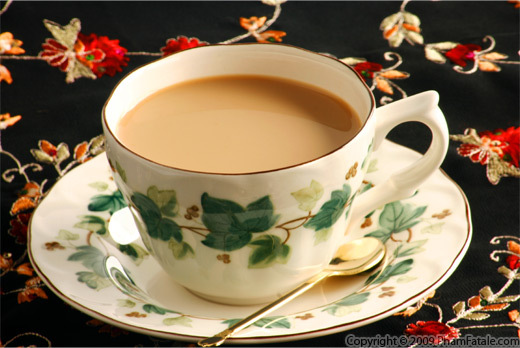 “Chai” is the Hindi word for “tea” and is ubiquitous in India. 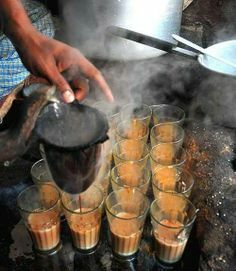 Chai is served on every street corner and on crowded train stations at all times of the day or night. In fact, many Indians associate rail travel with the cries of "chai, chai," from tea sellers carrying kettles along trains and platforms. 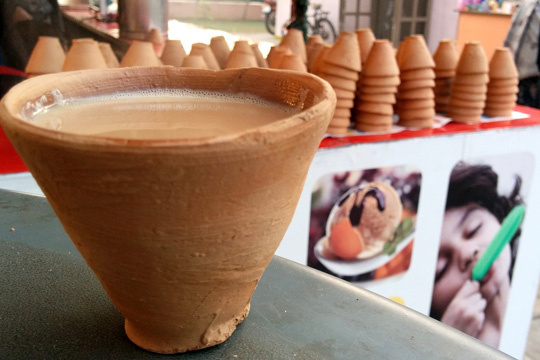 So, it’s not exactly a secret that Indians love their chai, sweet, spicy, and piping hot! What you see in the pic below is an earthen cup (called a Kullhar) that is often used to serve chai in local shops in India. These cups have their own essence and smell which increases the value of the beverage one drinks in it. You will never find the same kind of chai flavor anywhere else in the world! When travelling through India, this is one treat that remains a constant...the various types of chai and their styles of preparation, characteristic to each region that one visits. Needless to say, I am a major tea addict and would like to thank my husband today for pampering me with my daily morning and night dose of a steaming cuppa chai. He should probably be writing this blogpost and not me! Yes, I do drink chai before going to bed every day. I do not recommend that you do this, but I definitely....can’t do without it. In this post I will teach you how to make Indian chai in four different ways. 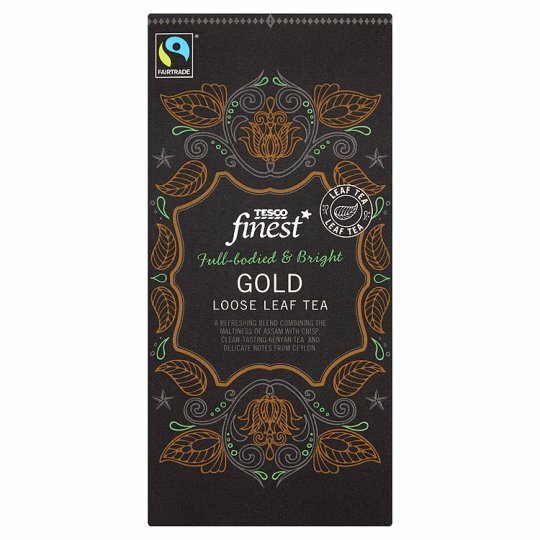 But first and foremost, it is important to that you have the correct type of tea leaf to make the strong chai that one gets in India. 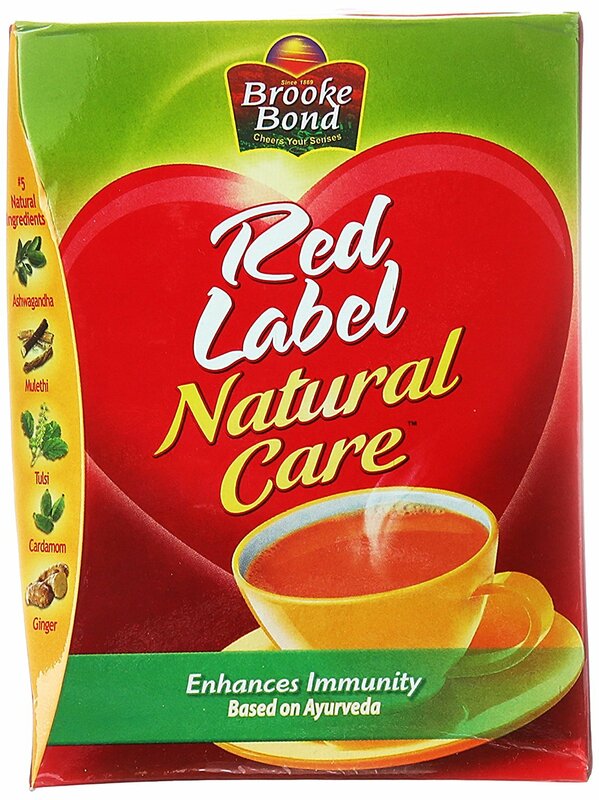 Our favourite brand of tea leaf for making Indian style chai is ‘Brooke Bond Red Label Natural Care.’ The flavour of this one is enhanced by the addition of ashwagandha (Indian ginseng), mulethi (licorice), ginger, cardamom, tulsi (holy basil), all five are powerful herbs in Ayurvedic healing. 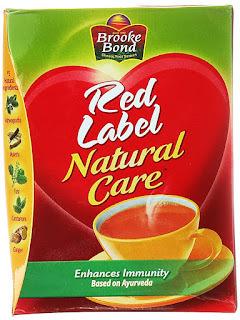 Brooke Bond Red Label Natural Care is easily available on Amazon UK, Ebay. 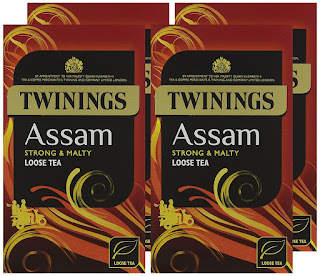 However, if you are unable to get this, I suggest using the plain Brooke Bond Red Label, Brooke Bond Taj Mahal which might be more freely available at your local Indian grocery store. Now if you live in an area where there is no Indian grocer closeby, just buy any loose black tea. 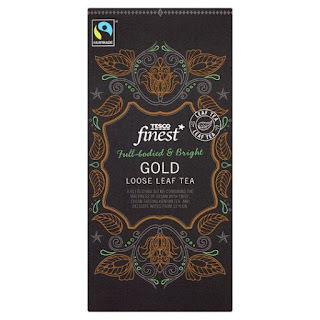 Tesco and Sainsbury both stock these for sure through their own brands and others such as Twinings, PG Tips etc. The basic ingredients remain the same…water and milk. 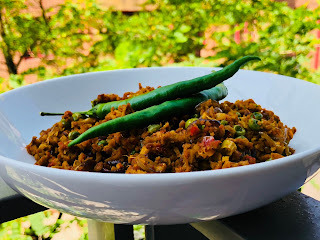 We shall keep playing with the flavour by adding something different each time. Each of these recipes is for one individual cup. My water to milk ratio is normally ¾ cup water and ¼ cup milk. While most Indian use whole milk, I like to use semi skimmed milk for my chai. Don't be surprised if I tell you that you also get special chai in India which is made of only milk! Tea has a vast variety to it and all the four types I have mentioned are suited for different moods. Have a go at each one of them to know which one shall suit you best at different times to have the perfect chai experience. Remember these recipes are general guidelines for my kinda tea…play with them and create your own perfect cuppa! Boil ¾ cup water in a pot. Crush a small piece of fresh ginger root and add it to the water. When crushed, you should have about 1 teaspoon of ginger. Once the water starts boiling add 1 heaped teaspoon of tea leaf. Allow to boil for 2 minutes. Now add the milk. Keep the temperature on moderate and allow the ginger juices to soak in the milk and tea leaf to turn the water to a brownish color. After about 3 minutes, turn off the heat and strain directly into your cup. Add sugar as per your taste. Boil ¾ cup water in a pot. Crush 2 pods of cardamom and add them to the water. I add the outer green cover too. Once the water starts boiling add 1 heaped teaspoon of tea leaf. Allow to boil for 2 minutes. Now add the milk. Keep the temperature on moderate and allow the milk and water to absorb the flavours. After about 3 minutes, turn off the heat and strain directly into your cup. Add sugar as per your taste. Boil ¾ cup water in a pot. Place one whole cinnamon stick (3-4 inch stick) in the water while boiling it. Once the water starts boiling add 1 heaped teaspoon of tea leaf. Allow to boil for 2 minutes. Now add the milk. Keep the temperature on moderate and allow the milk and water to absorb the flavours. After about 3 minutes, turn off the heat and strain directly into your cup. Add sugar as per your taste. Place ¾ cup water in a pot. To the water, add ½ teaspoon crushed ginger, 1 crushed cardamom pod, a small piece of cinnamon and a pinch of black pepper. Once the water starts boiling add 1 heaped teaspoon of tea leaf. Allow to boil for 2 minutes. Now add the milk. Keep the temperature on moderate and allow the milk and water to absorb the flavours of all the condiments. After about 3 minutes, turn off the heat and strain directly into your cup. Add sugar as per your taste. Are you hankering for a hot cup of chai now? Me too.